If you were to walk to a store or go online to buy a new TV, the first thing that you will look for is the size of the TV. You see a sticker, logo, pamphlet about a TV which reads “32″ Class. What do you infer from this? The size of the TV will measure 32” inches diagonally. Well you would wrong! Have you read the “The fine print” at the bottom? 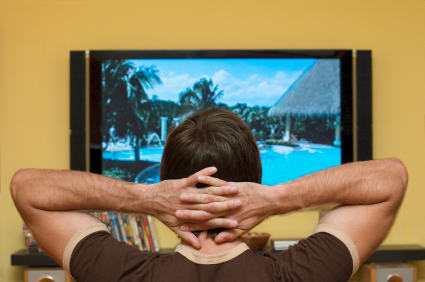 Your TV could be as Half and inch smaller than you think. In my opnion buyers should have clear have clear cut information about the product when he is buying and not give room for interpretation. However sad thing is, this is not the case. Lets take the most popular brands of TV that consumers would buy. Toshiba has a TV that would read “32″ Class in big glossy bold font and your fine print would read 31.5″. So where is the 1/2 inch? Did it disappear ? Well lets take Sharp for instance, you would see “19” Class” on the box and the fine print would read as 18.9”. Now one of the world favourite brand Sony big print reads “32” Class,” while the fine will print let you know that it’s actually 31.5” measured diagonally. If there is Half and inch difference or mere .1 difference, its still difference and as consumers we need to know what we are buying after all we pay for it. There is the general strategy in industry to put small fine prints and give actual figures. This is the first time I am coming across on TV’s. All this while I thought TV buying was pretty straight forward. Looks like its not anymore. Should you take this up seriously? yes you should. You are paying for it and most important thing in a television set is its size. Its not fair to get such misleading information. If you try to contact these companies I am sure you will not get a reply for the same. So what we could do is be aware of what we are buying and make our choices based on facts done on investigation of the aspects of the TV you are buying. Do you like to investigate this for yourself ? You really don’t have to go to a retailer, you can visit bestbuy or circuitcity if you are living in USA else similar website in your country.